Christmas is a magical time of the year, and a baby’s first Christmas makes the season even more special. 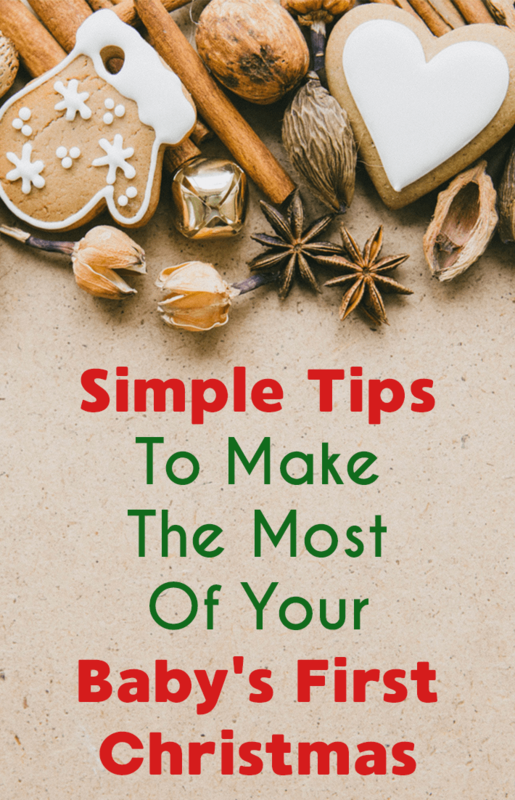 Instead of getting caught up in the hustle and bustle of the season, use these tips to be intentional, simplify, and truly enjoy your baby’s first Christmas. Parties, programs, and friends are all vying for your attention during the Christmas season. But listen to me closely: it’s okay to say no. There will be things that you want to do. My husband and I worked at a summer camp together, and we go to the staff Christmas party there every year. That’s a priority for us, so we wouldn’t say no to it. But we might say no to a work party or a church program if it meant spending more time as a family. Choose your priorities, but make family your top priority. Your baby will only have one first Christmas, and you don’t want to feel like you missed out on it because you were too busy. I don’t mean your parents and grandparents and cousins, although you should spend time with them, too. No, I’m talking about you, your spouse, and your child(ren). If this baby is your first child this may be your first year to start family traditions. For us, we’re choosing to stay home Christmas morning, open presents together, and enjoy time as a little family. Then, later in the day, we’ll travel to see one of our families. This gives us the chance to build our own traditions and memories with our little one. This may not work if you travel long distances to stay with family over the holidays. However, try to find at least a few minutes to spend together as a family. Those moments will be memories you will cherish forever. Looking back on pictures from my childhood Christmases, I see virtually no pictures of my siblings and I opening our presents. I see plenty of pictures of us showing off all of our gifts and pictures with family, but the opening of the presents isn’t there. Why? Because my parents were in the moment. They were enjoying their kids and opening gifts right alongside them. If you really want pictures of your baby “opening” presents, sure, take a few. But then put the camera down and be in the moment with your baby. That memory will mean a lot more than 74 pictures of her eating wrapping paper. Although every Christmas is special, your baby will never look like this or be this size ever again. Instead of being sad about that, why not create ornaments and decorations that will help you remember their first Christmas? In our family, we like to keep our decorations focused on Christ. Many of these Christ-centered Christmas crafts involve using a handprint or fingerprint, which is great for a keepsake. You can also create ornaments or decorations that have the baby’s picture on them, always there to remind you of their first Christmas. Make a new one each year, and you can have a tree full of their childhood! Thoughtful gifts, time with loved ones, and Christmas cheer make the holiday season wonderful, but that’s not what Christmas is all about. It’s about the Savior of the world being born in a manger to a carpenter and a simple woman. It’s about the Son of God humbling Himself for our sake. It’s about Emmanuel, God with us. A baby’s first Christmas only comes around once. Instead of trying to make it perfect, focus on making it simple and being present. You won’t regret it. Abbey is a wife and stay-at-home mom from Texas. She enjoys running, photography, and living a natural lifestyle. 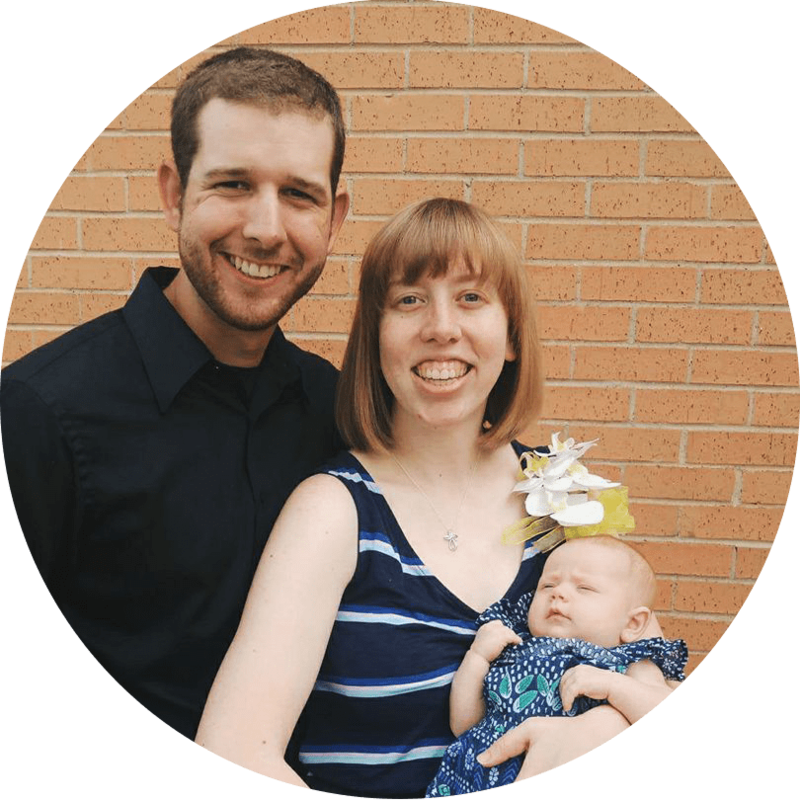 She blogs at Small Town Soul, where she shares about faith, family, and natural living. You can also find her on Facebook, Instagram, Pinterest, and Twitter.